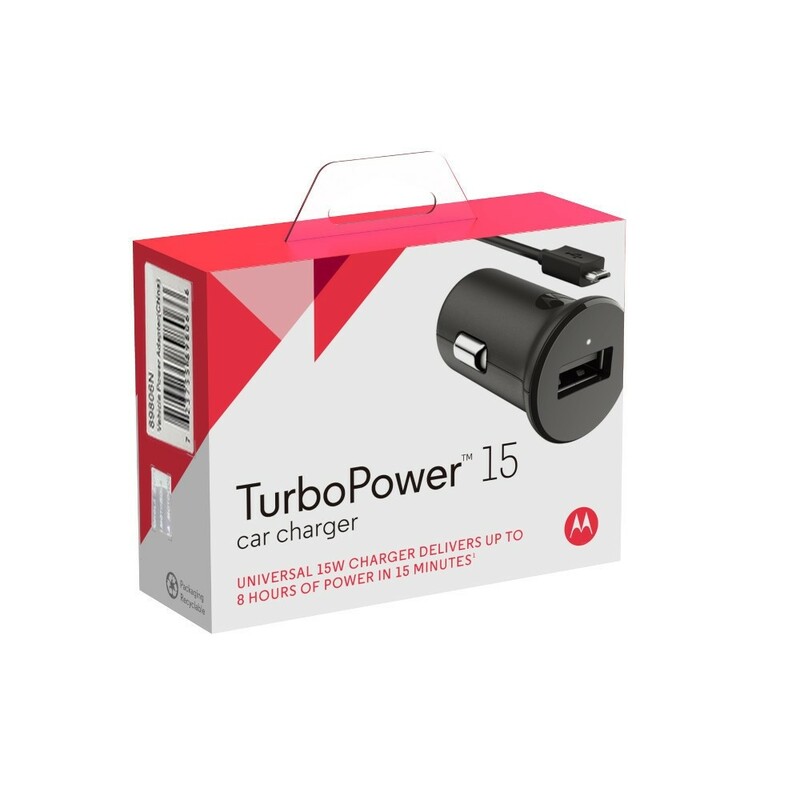 The TurboPower 15 car charger delivers hours of power in just minutes of charging. * It includes a micro-USB charging cable. You can use the charger on compatible smartphones, tablets, digital cameras and more. • Charge fast. Over and over. Turbo charge your smartphones and tablets without decreasing your battery’s lifespan thanks to the optimized battery charging algorithm and Qualcomm QuickCharge 2.0 technology. • One for all. Charge any single USB or micro USB enabled device. TurboPower™ supports a wide range of profiles that can take advantage of blazing-fast charging speeds. • Charge safely. Rest easy. Get built-in protection from power surges, extreme heat, and other dangers, and know your smartphone or tablet will remain safe while charging. • Environmentally friendly. PVC-free, BFR-free, Phthalate-free and RoHS compliant. • Includes a detachable micro-USB charging cable. You can use it with compatible smartphones, tablets, digital cameras and more. Moto G6 play, G5s plus, G5s, G5 plus, G5, G4 plus, G4, G4 play, Moto E5 plus, E5, E5 play, Moto X force, X pure, X style, X play, Moto C, C plus, Motorola Droid Turbo, Turbo 2, Ultra, Maxx2, Maxx, Nexus 6 as well as compatible Android Micro-USB enabled smartphones, tablets, digital cameras, and other devices.